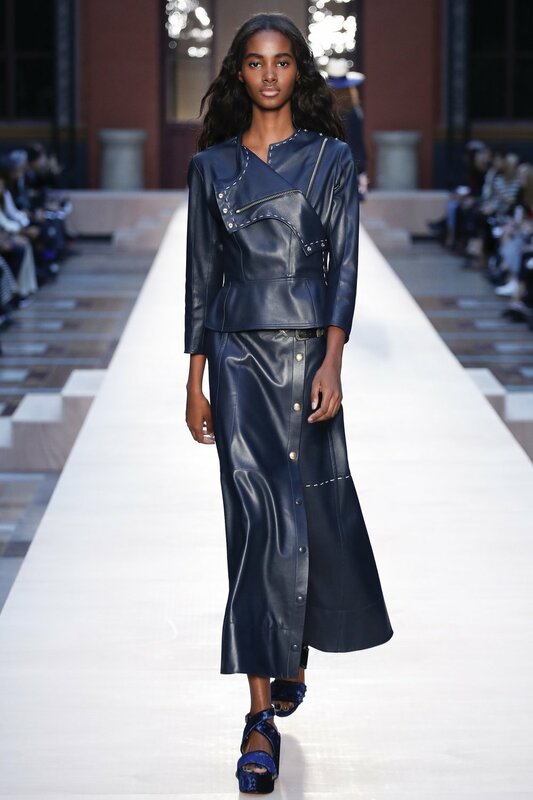 Designer Julie de Libran has showcased what Sonia Rykiel is all about for this collection. Rykiel’s signature colour: blue and white reigned the first part of the runway. 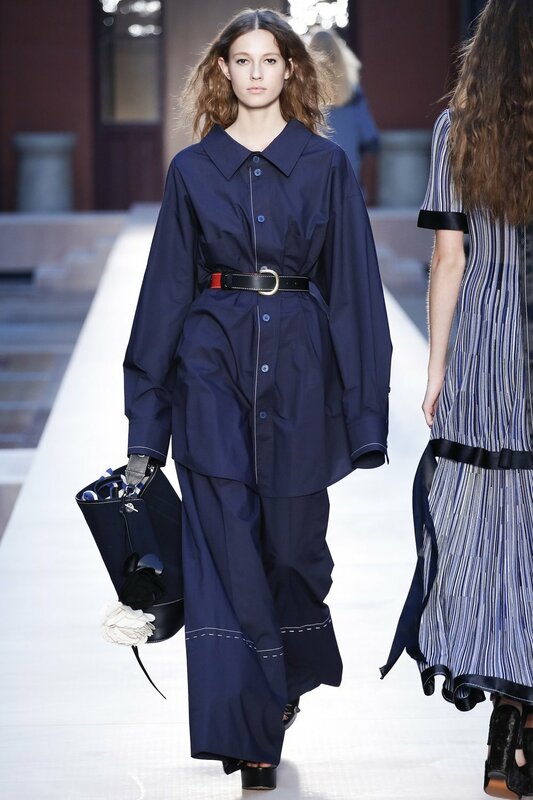 All-blue looks included, oversized shirts with open front with a ribbon, long sleeved striped baggy jumper, tunic and flared trousers.